Situated in Clacton-on-Sea in Essex, Footgolf is offered here on the existing 18-hole Golf Course on Sunday afternoons from 2pm-5pm. The course is 2,447 yards long, Par 73, making it a perfect length for those who are new to the sport, and more experienced Footgolfers alike. 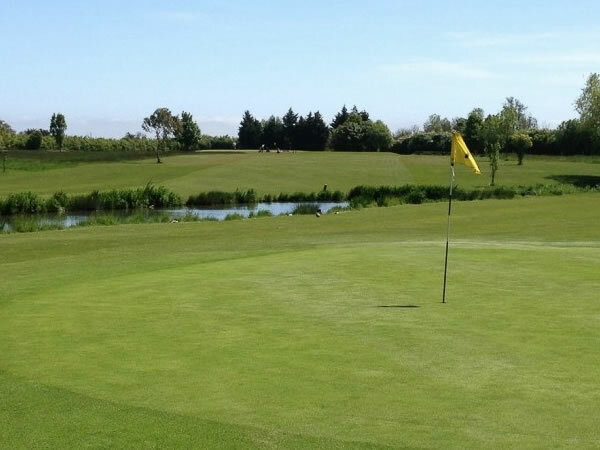 Intertwined with the course is a beautiful meandering river with accompanying willow trees. At the Clubhouse you will be welcomed by friendly staff with a warm and relaxed atmosphere. There is a bar and café to enjoy yourself socialising with your Footgolf buddies. Footballs are available for hire and there is plenty of parking available. If you’re local to Essex, or just passing through, then give Footgolf, the sport of the moment that’s here to stay, a try. It’s simple to learn with straightforward rules, and most importantly is loads of fun.